This past weekend, we had some garden time. 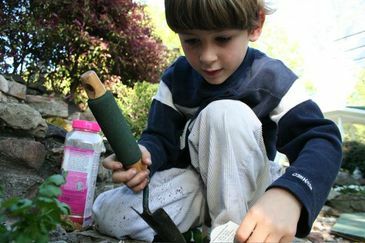 The weather perfect for planting. 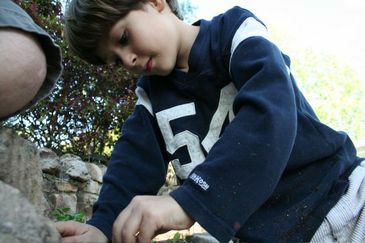 Sam became a gardener and learned how to officially plant herbs. Mommy usually just sticks plants in the ground and then wonders why they don't grow well. Daddy does it the right way, which is the way Sam is learning. Good padwon learner. (Yes, we've been watching Star Wars). 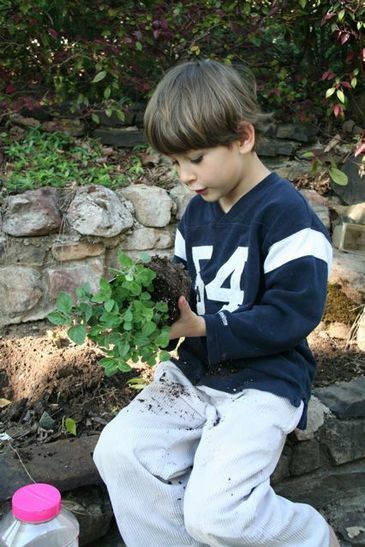 First, loosen plant roots... gently. Then place plant into hole. 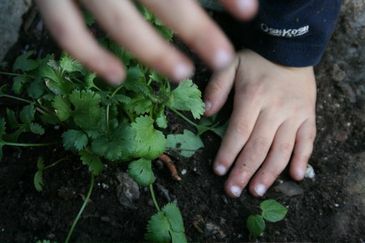 Pat the soil around it and put marker beside herb. Talk to the plant a little. 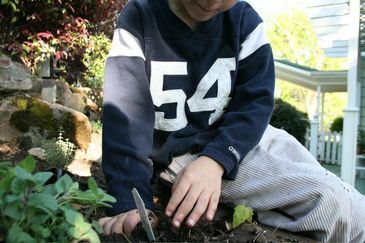 Place more dirt and some good plant food around it to make it grow. Water it and talk to the plant a little more and tell it how happy you are it is in your garden. Yea! The work is done! Thank you little hands for making new homes for Miss Cilantro, Mr. Basil, Miss Oregano and Mr. Thyme!